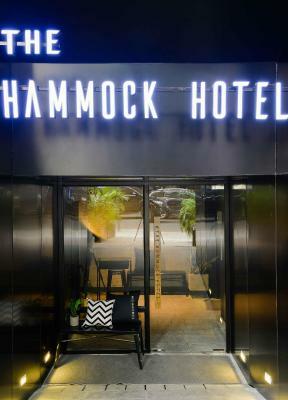 Lock in a great price for The Hammock Hotel Fine Arts Museum – rated 9.5 by recent guests! 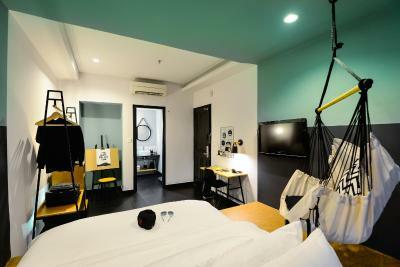 This is my first stay at the second property of The Hammock Hotel. They have added an artsy touch to this one. Look out for the art in the check-in area and the feature map painting in the room. While checking in, I grabbed a beer from the fridge while taking in the city view. 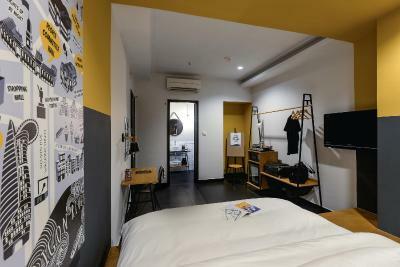 Good size room and bathroom, comfortable bed and sheets. 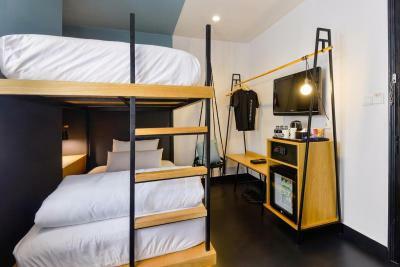 It’s what I have come to expect at The Hammock Hotel now. Like their other hotel, the people make the place what it is. Very friendly and helpful staff...this hotel overflows with fun energy and good vibes. There is also a spa/massage on the ground floor. Looks great, I didn’t try but a couple of my friends did and the feedback is very good and that they fell asleep during the massage. 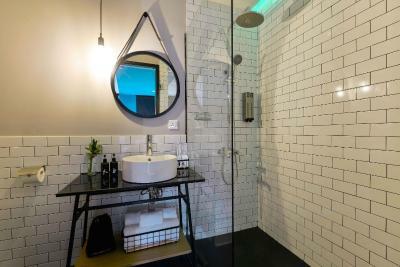 This is a trendy boutique hotel with great amenities and the nicest people! I can't emphasize enough what great hosts everyone was - they really made me feel welcome and comfortable, regularly checking with me to see if there is anything I need or if everything was ok. The room was spacious enough for 1-2 people. 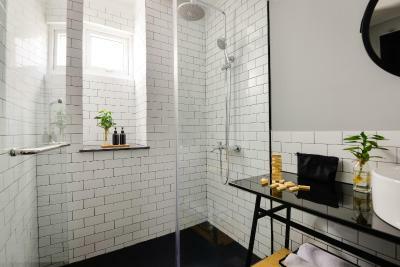 Bed was fantastically comfortable, and the shower was amazing with huge fluffy towels. 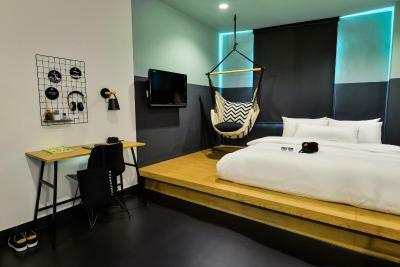 The Hammock Hotel goes above and beyond with amenities including complementary snacks and drinks, tasty breakfast, good toiletries, free self-serve laundry, a lovely rooftop terrace with hammocks, sofas and a pool table. The wifi was great 90% of the time, only a few hours one day where it didn't work well. Amazing staff, despite the hotel being new everything went great. They were more than helpful. great room, the rooftop terrasse is perfect to relax after a day out, a few games pool and chilling on the sofa. I cannot recommend this place highly enough! Where to start? 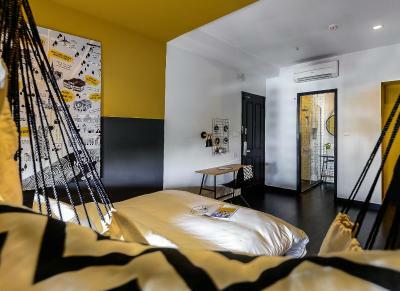 The rooms are SO comfortable! 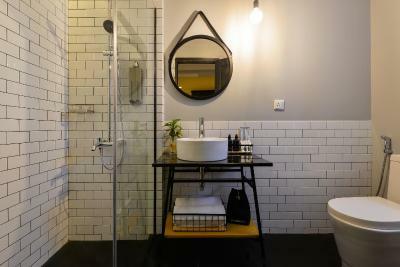 The shower is beautiful (think rain shower head), there are free snacks and drinks in the reception and your room, the WiFi is amazing, there is a rooftop terrace with hammocks which was an amazing way to end your day! But the main thing was the staff... all of the staff were so friendly and went above and beyond! Shoutout to Eloise! - we took a taxi from the backpacker district to the hotel and got totally ripped off. When we told her she called the taxi company and even though we didn’t know the taxi driver number she figured out who it was, yelled at them (she’s a rockstar) made the driver come back and refund us! 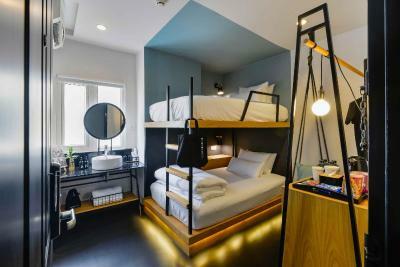 Next time I am in Saigon I will 100% be staying here! 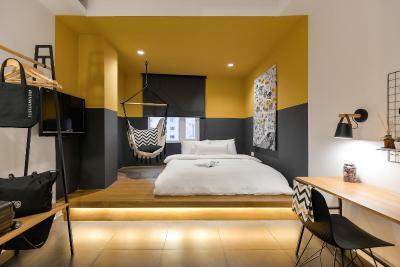 The distinctive theme of this hotel is cozy that would make you feel at home. Unlimited snacks during our stay was superb. Rooftop features a sofa set, billiard table, hammocks, artificial green grass carpet, washing machine and dryer(detergent is free too😊😊😊); we spent one afternoon waiting for the 🌅 while playing with our daughter and it was such a relaxing experience for our little family. All the staff were great and they would really go out of their way to help you and make your stay more memorable and comfortable. Special thanks to Eloise and everybody! You guys really did a great job! Your boss made the right decision to employ you! We will come back for sure! Kudos! Keep it up! Free Breakfast! There's different breakfast menu for everyday. And free snacks and drinks, including beer. Washing machine is free using. The staffs are super helpful and friendly. Location the best, easy to access anywhere. Great quirky hotel close to Ben Than market. Rooms small but beds great. Boys loved the big bunk beds. A nice touch was that all the minibars were free including beer, soft drinks, crisps, biscuits and pot noodles! The kids loved this. 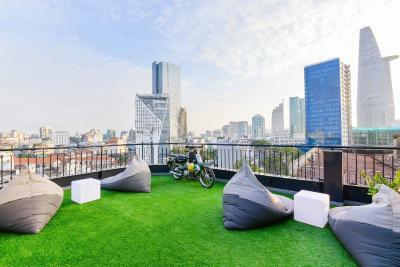 Lovely roof top area with pool table, hammocks and bean bags. Breakfast was also excellent. Staff really friendly and helpful. 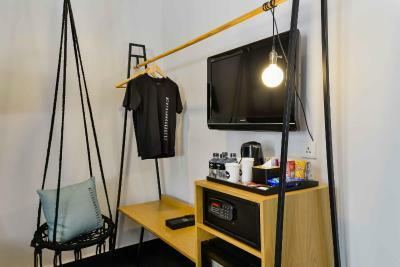 The snacks and mini bar included in the price was great. The location is very convenient. Breakfast is delicious. 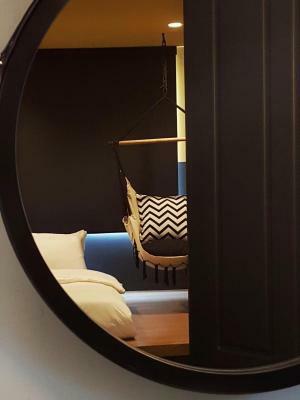 This is the second Hammock hotel that I have stayed in. 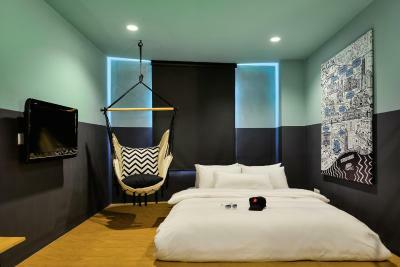 The first one was Hammock hotel @ Ben Thanh. My experience for both the hotels are amazing! The staff are super friendly and helpful. 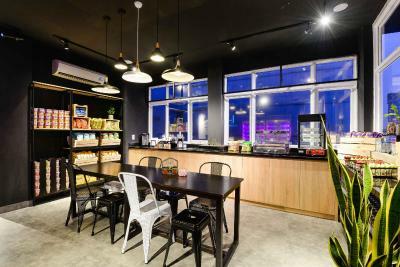 The hotel provides free flow of drinks and snacks. Location is superb. In this property in particular, they serve excellent breakfast. The view was spectacular at the check in level. 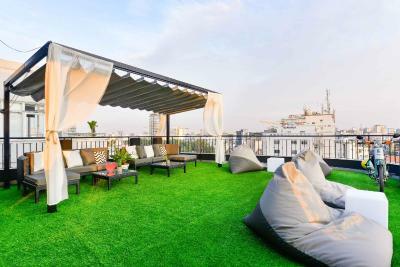 Do check out the roof too, it is a nice place to chill and play pool. 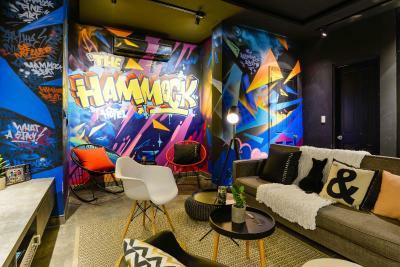 The Hammock Hotel Fine Arts Museum This rating is a reflection of how the property compares to the industry standard when it comes to price, facilities and services available. It's based on a self-evaluation by the property. Use this rating to help choose your stay! 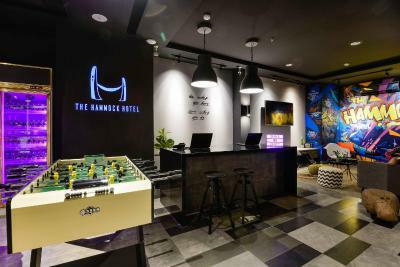 Located in the lively and vibrant District 1, The Hammock Hotel Fine Arts Museum provides stylish accommodations in Ho Chi Minh City. 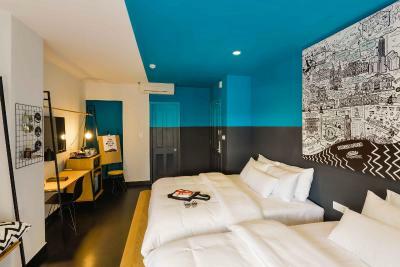 This hotel is just a stone’s throw from the iconic Ben Thanh Market, Bitexco Financial Tower, Ho Chi Minh Square, Fine Arts Museum, Noter Dame Cathedral and major tourists and shopping attractions. 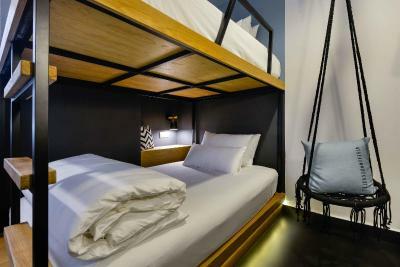 Each air-conditioned room is furnished with hanging hammock, free WiFi access, a flat-screen TV and a desk. 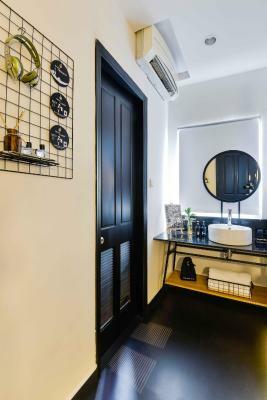 A mini fridge and a wardrobe are featured. 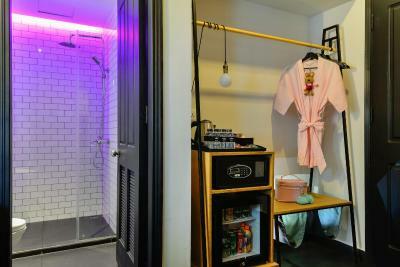 Private bathroom comes with hot water shower facility. 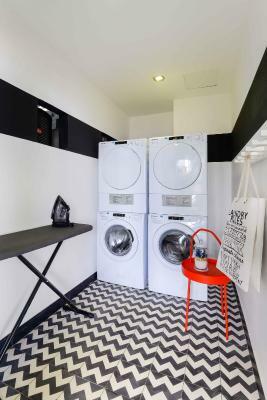 Guests can enjoy free 24-hour open pantry, roof top chill areas, self-service laundry and ironing facilities. 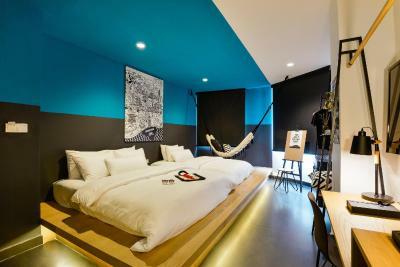 When would you like to stay at The Hammock Hotel Fine Arts Museum? 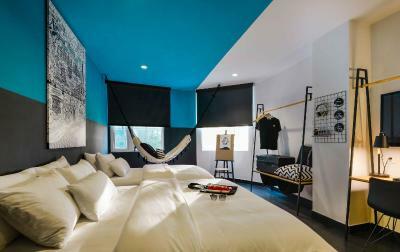 House Rules The Hammock Hotel Fine Arts Museum takes special requests – add in the next step! The Hammock Hotel Fine Arts Museum accepts these cards and reserves the right to temporarily hold an amount prior to arrival. Absolutely nothing! Will be back again. One thing to note, although it didn't impact our stay at all, is that the hotel's still under renovation on a few floors. But like I said, this didn't impact our experience. This was our favourite hotel we've stayed at during our trip to SEA! The staff were incredibly helpful and attentive, the breakfast was great (as was the open minibar and snackbar upstairs), and the location was close to everything we wanted to see. 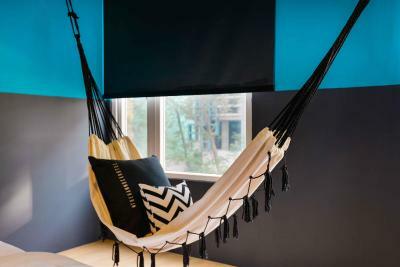 My partner and I would definitely recommend The Hammock. 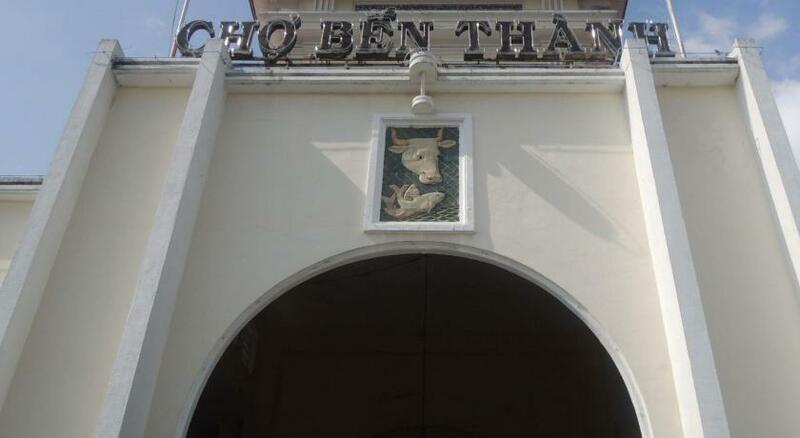 Best hotel in Ho Chi Minh. Everything perfect, clean and beautiful. Can’t really think of anything. Well, ok, the toilet seat was loose in our bathroom. Not the end of the world (and an easy fix). After a day of travels a smooth check-in to your hotel is desirable. That awful wait in the lobby while your being signed in and documents are checked... Not at the hammock! At arrival to the top floor (the lobby, breakfast bar and stairs to the rooftop are upstairs) we are welcomed with a desert and a drink (pick whatever you like). We are immediately told to please help ourselves to some food (snacks and sausages) if we are hungry. All of this, as well as the mini bar, is free of charge. A bit different than the occasional ‘free bottle of water’ in your average hotel. 5 stars for hospitality! Spacious, clean, modern room. 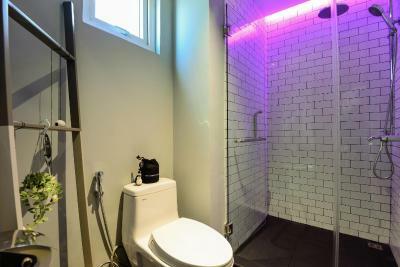 Nice bathroom. 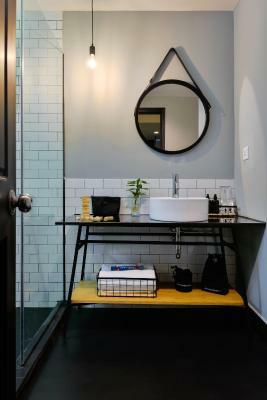 Good location (central district 1). 5 star hospitality. Drinks / snacks included. Everything! This hotel has set a new standard for us. Great view from the terrace, nice to kick back with some free beers after a long day strolling. Staff went out of their way to help. Beautiful room, loads of space. Just stay here! 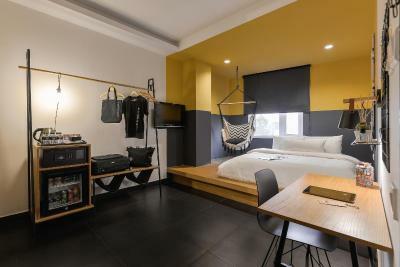 The hotel has exceeded my expectations from the start when I stepped in, the design of the place and hospitality of the staffs definitely make me feel like home, the room is very cozy and clean. You do not have to worry about any additional cost on you when you take any of the drinks, as any food, snacks, drinks and even the alcohol drinks you see are free flow. The staffs at the hotel are also very friendly and never fail to give you their brightest smile! 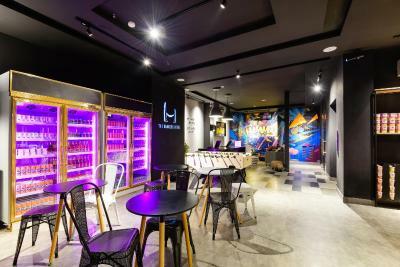 Definitely the place for me to come back when I visit Ho Chi Minh again! The service was impeccable. All our requests we're well taken care of plus the management goes above and beyond to make us comfortable. The room was spacious and clean. Right from stepping into the hotel to checking out, I felt that I never left home! 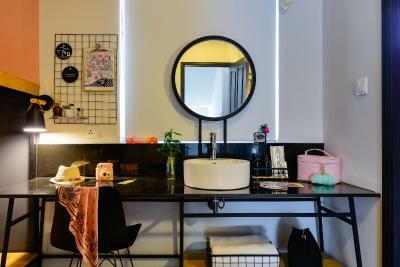 Their staffs are very friendly, their mini bar in the room and common pantry are fantastic (FOC btw), and their cozy & comfy room. Reno ongoing in basement and ground floor tho’ but heard it’s a Spa that is going to open in mid April!!! Will return on my next opportunity.